On Saariselkä Training snowshoe tours You will get the chance to explore the untouched snow banks of Urho Kekkonen National Park. We'll hike outside the maintained trails which means that we will very unlikely meet other people. We start the tour after sun set and head towards the top of fell Iisakkipää. 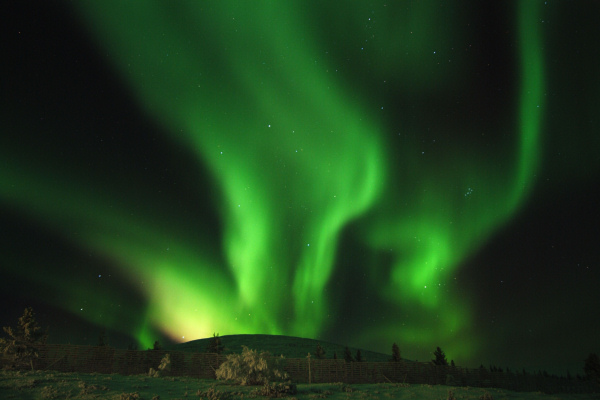 If we are lucky we will see the northern lights dancing on the sky. Even if we aren't that lucky, walking in dark forest is a unique experience.